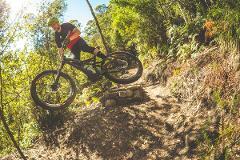 An epic 3 day of All-Mountain style riding through the North East region of Tasmania. Strike zones include Hollybank, Derby, Blue Tier and more. Insane trails, Shuttles, country pubs, cold beers and a bunch of legends. 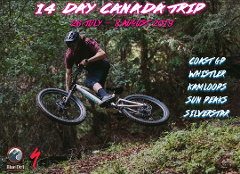 Join the Blue Dirt crew for A ONCE IN A LIFETIME BC trip riding some of Canada’s best locations. COAST GRAVITY PARK – WHISTLER – KAMLOOPS – SUN PEAKS – SILVERSTAR. We organise everything, you just turn up!